Investing in a machining center with full 5-axis capabilities can make a world of difference for manufacturers. If you’re looking for a midsize machining center with full 5-axis capabilities, this e-book is for you. Inside you’ll find examples from ten of the top manufacturers, including technical specifications, machine highlights and more. 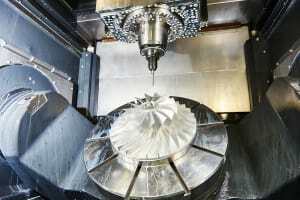 For a primer on 5-axis, check out The What, Why and How of 5-Axis CNC Machining. This eBook is sponsored by ENGINEERING.com To download, please complete the form on this page.